Virgin Media will send warning letters to its broadband customers who use file-sharing sites to swap copyright music tracks. The company will identify the users on the basis of data supplied by the record industry body, the BPI. Virgin says the letters are part of an educational campaign to help its customers safely download music and avoid the risk of legal action. Virgin says it will not share the names of the users involved with the BPI. The record industry is increasingly concerned about P2P websites that let users exchange copyright material using the Bittorrent network. 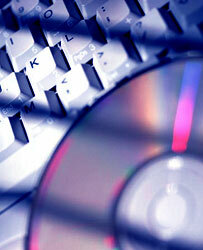 It is thought that six million broadband accounts in the UK are now used to swap music tracks and movie files. The BPI's boss, Geoff Taylor, said: "We believe that new partnerships with Internet Service Providers can help build an internet in which music is properly valued." Virgin is the first major broadband company to work with the BPI on a warning scheme since an agreement with Tiscali broke down last summer. The music industry wants all internet providers to do more to prevent copyright material being swapped on their networks. The BPI has been in talks with broadband companies about a voluntary scheme to curb file sharing. It advocates a "three-strike" system where persistent file-sharers are warned before having their accounts suspended or, in extreme cases, disconnected completely. The Virgin campaign appears to fall far short of that. The Government said in February it would consider bringing in new laws if agreement cannot be reached between the music industry and broadband companies by next spring.